This past Sunday my wife called me up from the basement where I emerge myself, my records, by time, my life…. And when Janet beckons I know it has to be music related …. 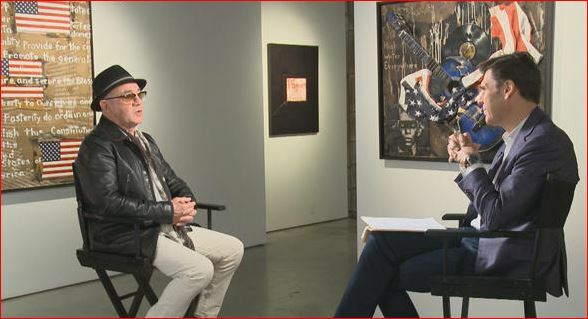 So last week the CBS program “Sunday Morning” did a feature on song writer and partner in composition to Elton John, Bernie Taupin. Today Bernie is living a very comfortable life in the U.K. immersed in his paintings and savoring the benefits of over 50 years as a lyrical magician. 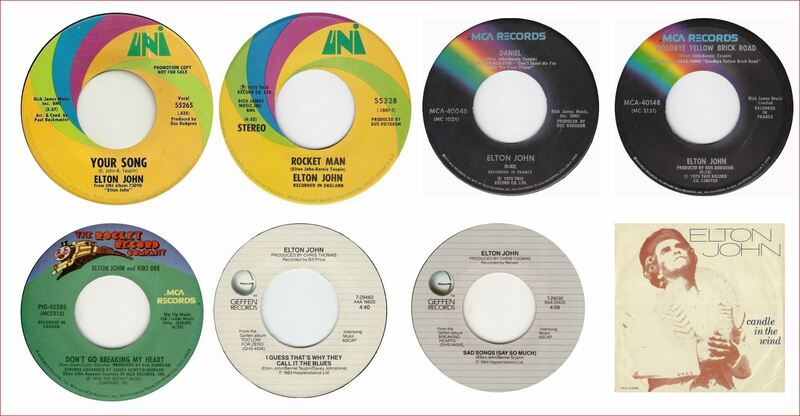 I was surprised to learn (only because I never bothered to learn) that typically through the years Sir Elton John and Bernie Taupin did not work side-by-side or even in the same room together. Instead, the poet Taupin would send one or more of his poems to Elton, who then would compose the tunes. According to Bernie on Sunday Morning Elton seldom revised his lyrics. What a contrast to the song writing teams from the days of Tin Pan Alley, the “Brill Building” and Lennon and McCartney. Seems sort of backwards to me – What a challenge it must have been for Elton to gaze at a poem – and then just feel it! According to Wikipedia, the duo came together in 1967 when both separately answered an advertisement placed by Liberty Records in the UK publication “The New Musical Express”. The citation states that neither John nor Taupin passed the initial audition. But a Liberty representative decided to hand Elton an envelope containing poems by Bernie which Elton took home with him. Liberty was looking for someone who could compose the entire song – lyrics and tune. Elton had fessed up that he couldn’t write lyrics and obviously Taupin was only a word smith. The collaboration was born and with only minor breaks along the way the pair have proved to rank right up near the top of the pop! Today Bernie enjoys his estate, writing poetry, dabbling in art, and reflecting on his legacy as a guy who wrote poems, sending them off to Sir Elton John for a polishing touch. Think about that Liberty audition – and the guy or guys who ‘flunked’ both Bernie and Elton! But then had the instinct to hand that little envelope over to Elton John – maybe just to get rid of him – send him on his way on the London Underground….. and the rest is…. The pair placed 25 songs in the U.S. Top Ten with six going number 1 – with scores more in the Hot 100. Not every John/Taupin composition fits into my rather melodic and simple tastes. But some definitely do with my chosen eight here. However it works – it works! Personally, I like their earlier material best, when they were still hungry…. The trouble with me was – I was hungry too so I didn’t notice!